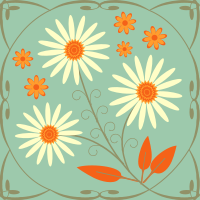 Woven Stitch Table Runner Pattern is up! 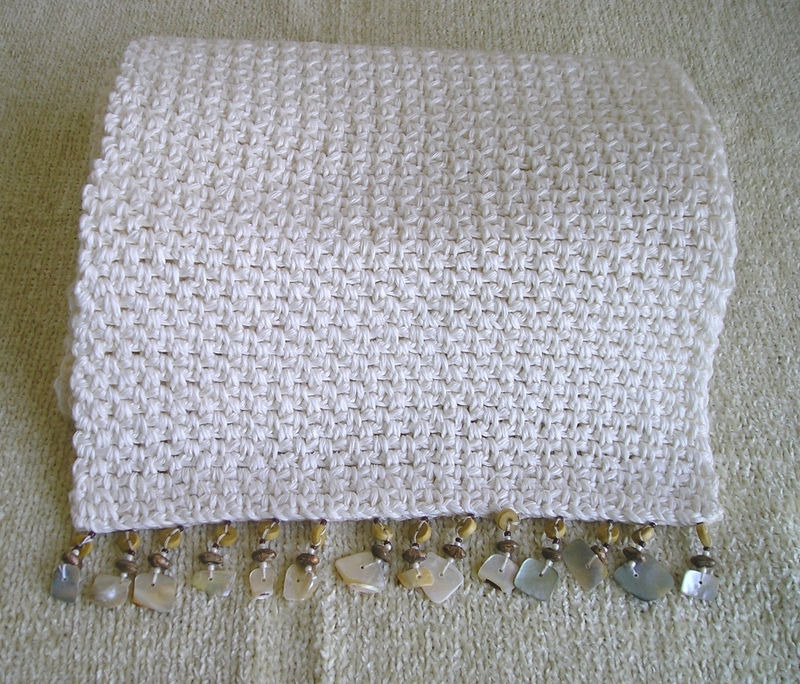 The crocheted Woven Stitch Table Runner pattern is up! Check out the “Free Patterns” link above. I actually finished the table runner a few months ago, but it sat around in my FUFO pile waiting for the pattern to be written up. This is a really simple pattern but I love the way it turned out so much that I wanted to share it with everyone. The yarn has a really beautiful sheen and the shells and wooden beads in the trim makes the runner, in my humble opinion, both elegant and casual. I could imagine this runner with a fancy table setting or out on a picnic table near the beach. Obviously, you can make the runner any size you wish depending on the size of your table and the surface area you’re trying to cover. You can figure out how much yarn you’ll need by multiplying the width by the length and comparing that result with the surface area (width X length–in this case, 9″ X 60″ = 540 square inches) covered by my pattern. If the surface area of the runner you want to make is, for example, 432 square inches or 80% of my pattern, then you will need approximately 80% of the yarn I have called for in my pattern. 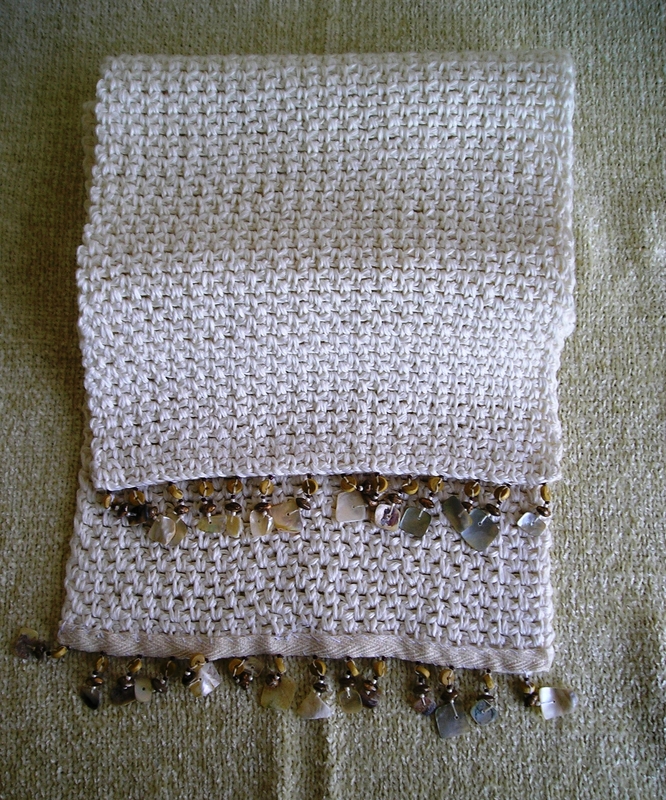 The trim is sewn on with needle and thread after the runner is crocheted, and instructions are provided in the pattern here. To the right, you can see a photo with the back of the runner showing so you can see how the trim is attached. Obviously, there are a lot of different trims out there so the possibilities for your decor choices should be endless. Next Post Rapunzel Scarf Pattern Finished!